” For years I have talked of my four reasons for hope: the energy, commitment, passion and sometimes courage of young people once they are aware of the problems facing us, and are empowered to take action; the human brain; the resilience of nature, and the indomitable human spirit. It was during the Climate March in September 2014…I could see, all around, people with their cell phones. They were using Facebook, tweets and twitters to tell their friends about what was happening, telling them to come and join in, that it was neat. Christina Stentz Cefalu: She has inspired me to be more diligent and vocal in my efforts to conserve and support mother earth and the creatures that share our planet. I sometimes felt as though my efforts didn’t amount to much when so many around me don’t seem to care. But Jane Goodall has shown just how much one person can accomplish. So in my small way I will continue to do my part. 4th grade, I had an opportunity to meet Jane, thanks to the efforts of my teacher (Lana Friesen Thompson). I had developed a game – based on Jane’s autobiography – for a school project, and I brought that game to our meeting to show her… The first thing she said to me was, “You may be good, but I’m all good.” 🙂 Ever since that day, I have been committed to pursuing my own passion for science. Thanks to Jane and other great mentors in my life, I am now working on a Ph.D. in fisheries science, where I hope to positively impact conservation and sustainability efforts in fisheries. Thanks, Jane, for all you do! Lauren Potts: I had a book about Dr. Goodall when I was 9 or 10. My obsession with helping animals was fed by stories of her empathy and kindness towards creatures of all shapes and sizes. One day, I held a yard sale (with the help of my parents) and raised over $400 selling cookies, lemonade, and junk from my family’s garage. I immediately got my parents to write 4 separate checks for $100 each to send to different wildlife aid foundations and charities. I couldn’t settle on one because I felt that all animals deserved our help. 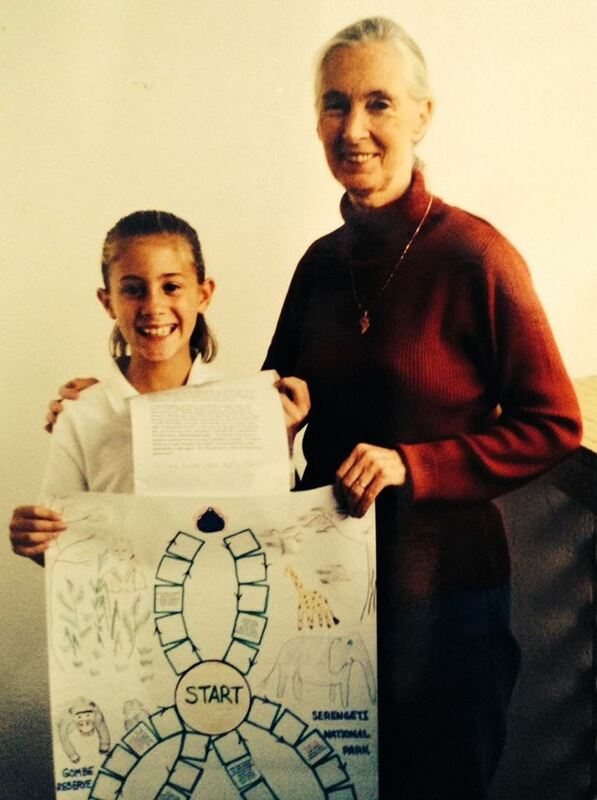 Thanks for inspiring me to begin donating to animal/nature-aid organizations at a young age. 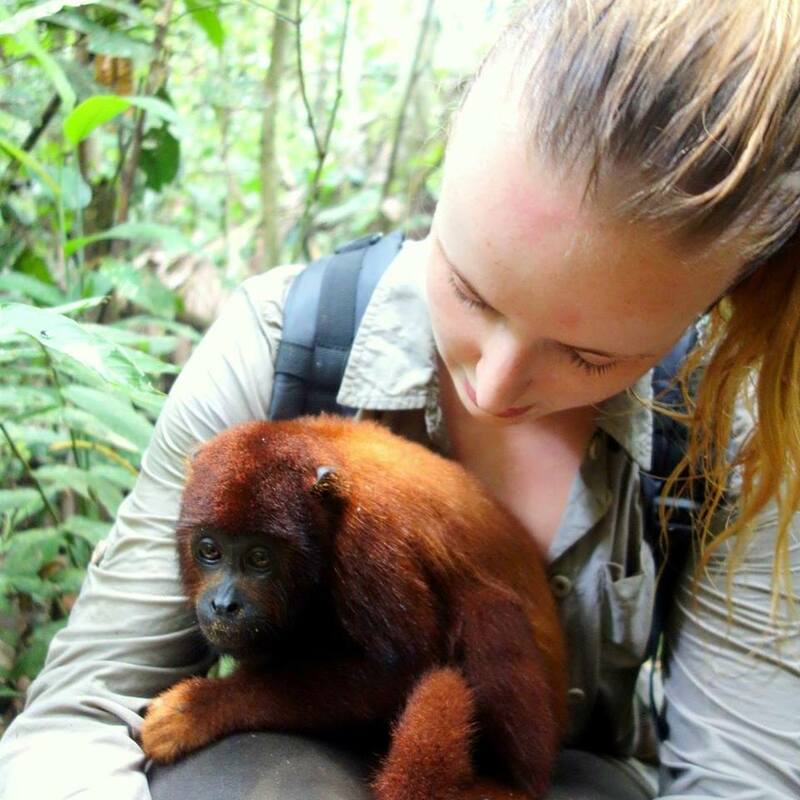 Holly O’Donnell: Jane is the reason that this baby Red Howler Monkey in the Peruvian Amazon has been rescued and is currently being rehabilitated for release. If it wasn’t for a 7 year old me seeing Jane with her chimpanzees in a documentary, on a NatGeo promotional video which was posted through my door in Scotland, then I would not have been in the forest where this little baby was found, malnourished and infected with bot-flies after escaping from a tourist lodge where he was being held and mistreated as an illegal pet. I am now a conservation zoologist working for an NGO, studying large mammals, particularly primates which is where my passion lies. I met Jane during my undergraduate degree at the University of St Andrews, and it spurred me on, motivated to finish what was at times a challenging degree, and inspired me to take a job abroad, in a foreign country, all alone, and as the only female field scientist working for the organisation. Thank you Jane! For leading me into the wonderful life that I currently have and for showing me that I can make a difference too. Caroline Siegert: Jane Goodall inspired me at a young age to pursue an interest in science and conservation as she was the only well known female scientist when I was a child. She showed me that I could help save the world too, and now I am pursuing a degree in Environmental and Plant biology at Ohio University. Thank you Jane, for being an inspiration to young girls everywhere. Jane Goodall is the ultimate example of what happens when a young person is given support and listens to both what they want for themselves and what their responsibility to the world is. Her story has given life to so many of your stories, and in turn you have become examples for others. With one million of you living each day by making a difference, millions and millions of others have also been transformed. That is a true reason for hope. 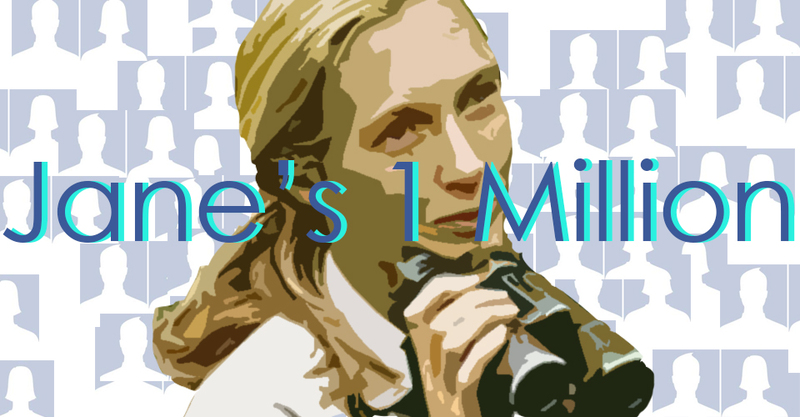 Keep sharing your stories using #Janes1Million on Facebook, Instagram and Twitter and help us grow Jane’s page to be a home for millions more just like you! Ashley Sullivan is the Community Engagement Specialist at the Jane Goodall Institute, where she works to connect individuals with Dr. Goodall's vision, and the JGI mission. Ashley graduated Stony Brook University with a B.A. in Anthropology and a minor in Biology. She has a varied background including conservation, art, communications, digital media, design, photography, and documentary filmmaking. Ashley believes in sharing information to empower and in the need for storytelling. Through growing understanding and empathy, she believes it is possible to ignite positive change, every day. Inspiring hope through action. Share your story. June 27, 2018 1 Chimps, Humans, and Monkeys: What’s the Difference? April 2, 2019 1 Jane’s Turning 85: Will You Be a Part of Generation Jane? You can be the change! Get connected with us and stay informed so you can be a part of what we do! Copyright © 2015 The Jane Goodall Institute.